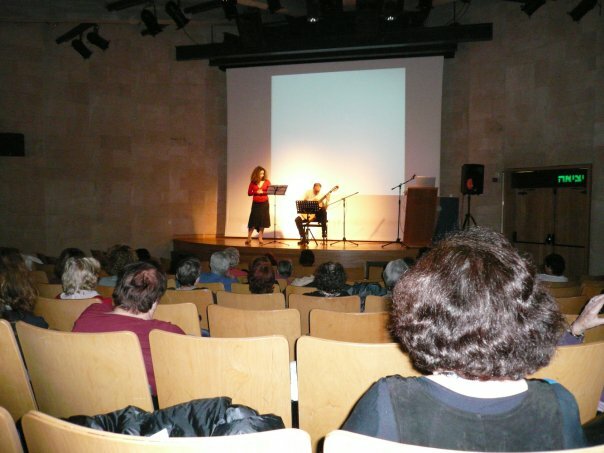 Mrs Sarit Aloni is currently teaching singing at the her private studio in London (SW15) and in the Antrobus house (SP4), Amesbury, Salisbury (UK). 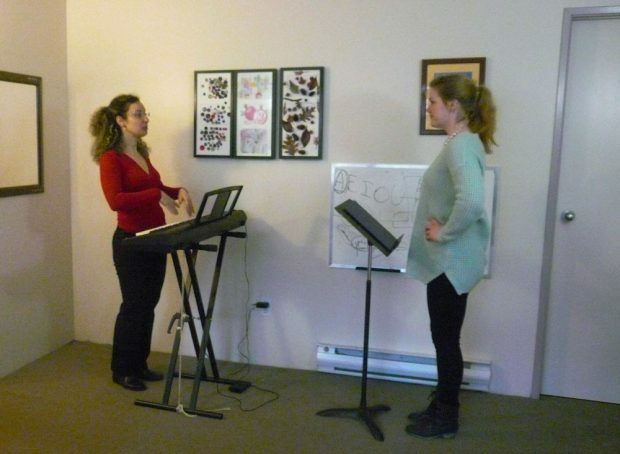 Lessons focus on breathing control and support, posture, musical expression, projection, presence on stage, diction, tuning, and music theory. Vocal Lessons with Mrs Aloni suit perfectly choral singers, soloists, song-writers, actors, amateur singers or professionals. Lessons are offered to adults and children over 10 years old. For more information about booking and fees contact here. Kellen Loewen, a song writer from Vancouver, BC, Canada, in a lesson. "Each one of my students is unique and has his/hers own needs. As a voice teacher, I always respond to these different needs as my first teaching goal. Through the years I have worked with more than 150 students, all vary in age (from 12 till 65 years old), in their singing style: classic, popular, musicals or choir, and in levels: beginners till advanced singers. 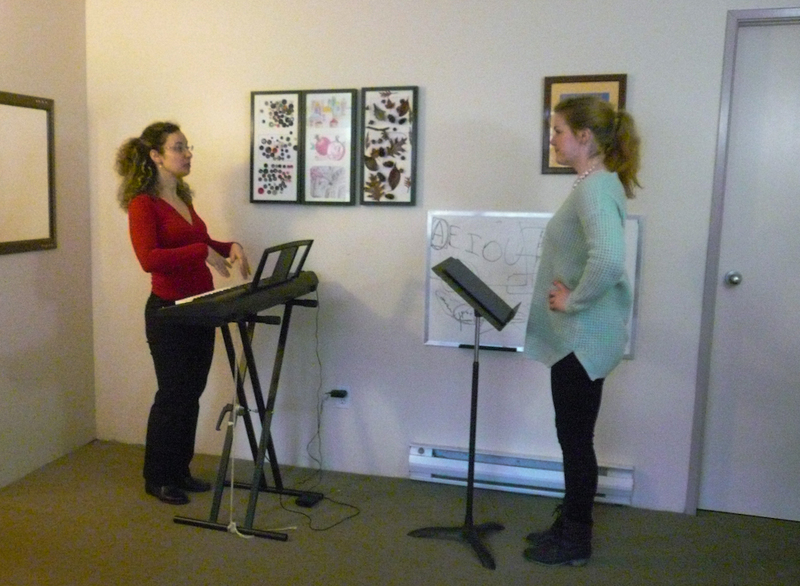 I believe that working on fundamentals is the basis to good and healthy singing. In the first lessons I build a strong understanding of the breathing system, posture and how to support a tone. As the student progresses we introduce varied repertoire, work on diction, vowel shaping, focus, musical expression, vocal presence and more. Since I am also a pianist (diploma) I accompany all my students with their varied repertoire and occasionally give theory and solfeggio lessons, as well as piano lessons. My motto as a teacher is that everything can be learnt with the help of the right teacher who knows how to make it simple, and that each student is different from the other. A teacher cannot have one strategy to all students, but needs flexibility and enough knowledge to be able to adapt himself to its students. In case you would like to try you are welcome to contact me through this website, and I will try my best to reply as soon as possible."